Growing Up... with her Uncle Henry, who is a farmer, and Auntie Em, his wife, after her parents died. They were so kind to take her into their home, which is a small house with four walls, a floor and a roof, which make one room. Living... in a rural area of Kansas. There is nothing but the prairie with no other houses or trees for miles. It is so blistering hot there that the sun has burned the grass to a pale gray color. And unfortunately, the wind and sun have also taken the sparkle from her Aunt's eyes and left them gray too. It is no wonder why her Aunt and Uncle never smile. Visiting... a place called Oz with friendly Munchkin people and the most beautiful flowers and colors she's ever seen. Dorothy arrived there in the most unusual way – a tornado swept up her Kansas house and the winds blew it to Oz. When the house landed, Dorothy stepped out to find two cold feet sticking out from under the house. As she found out from a friendly witch named Glinda, the house killed one of the most wicked witches in Oz. 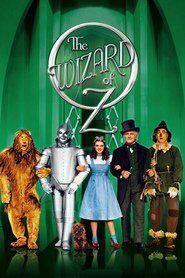 Glinda said she will help Dorothy get back home, but Dorothy in turn needs to do two things: she should take the red slippers that belonged to the dead witch and then travel along the yellow brick road to see the Wizard of Oz. As Dorothy has come to realize, she's certainly not in Kansas anymore. Interests... playing with Toto. He is a little black dog, with long silky hair and small black eyes that shine on either side of his funny, small nose. She loves him so much. Challenge... getting back to her aunt and uncle in Kansas who must be worried about her. And as she travels along the yellow brick road with Toto, she meets some others who have even bigger problem than she does. The Scarecrow needs a brain, the Tin Woodman doesn't have a heart, and the Cowardly Lion lacks courage. The Wizard of Oz may be able to help them as well, so the five of them have decided to travel together. But it's a long road ahead where the Wizard lives in Emerald City – through a country filled with lions, tigers, and bears. And to make matters much worse, Dorothy is getting death threats from a green witch flying around on her broomstick with an army of winged monkeys. Oh my! Personality... compassionate and courageous. For a young girl in an entirely new world being attacked by an evil green witch, Dorothy is pretty chill. She displays her vulnerabilities and fears, but she is calmly determined to overcome them on her difficult journey. Even though her challenges are enough to worry about, she takes the time to also look out for her new friends. She hasn't known them for very long, but she would do anything to help the scarecrow, tin man, and lion get what they need. Dorothy Gale's popularity ranking on CharacTour is #1136 out of 5,000+ characters. See our top-ranked characters and read their profiles.